This is from the side. There is a gate on the end. These are the nesting boxes. This is where they roost. So this is how we did it. 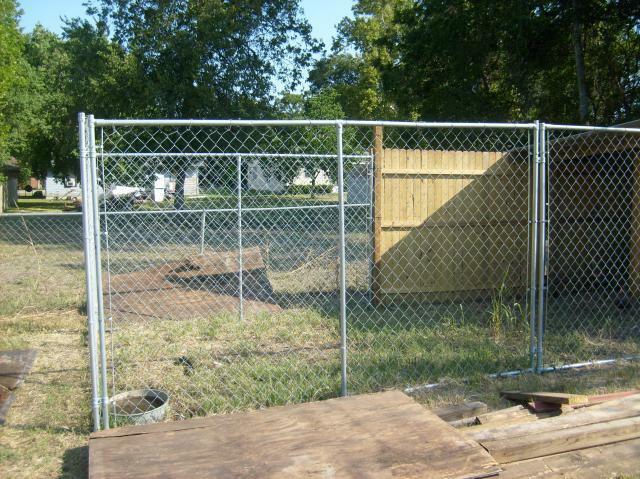 We bought 4 premade privacy fence panels from someone on Craigs list (they had some extras from building their own privacy fence). We bought a 10 ft x 10 ft dog kennel from Lowes. The we got some landscaping timbers on sale from the store, and some sheet metal from a friend. We buried the ends of the landscaping timbers to attach the fence panels. Then we braced them in this corner and it gave the hens some extra roosting spots. 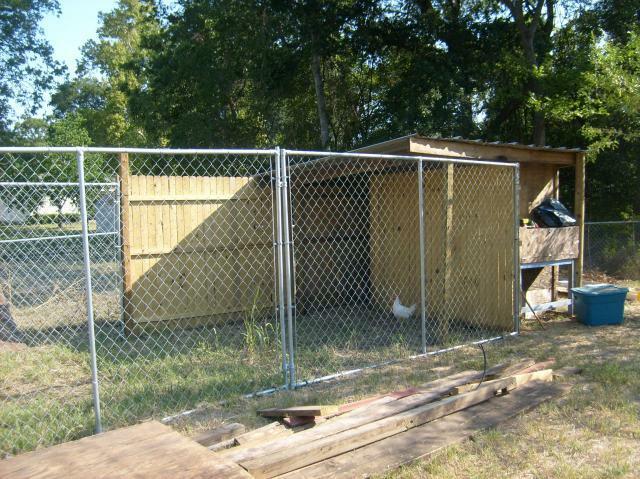 Then we put the kennel together and attached it to the privacy fence panels. 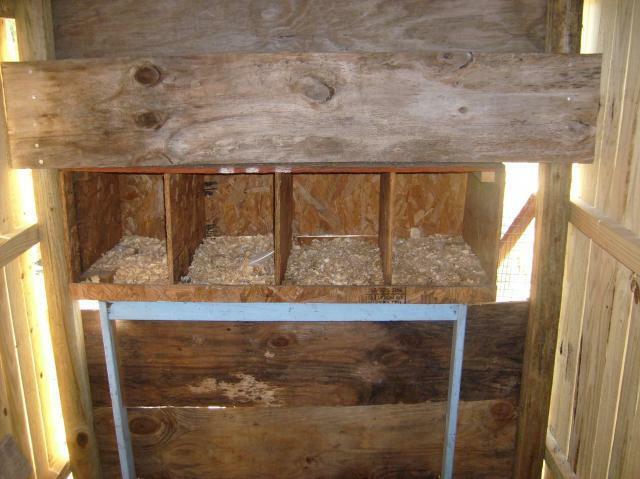 Some friends of ours built the nesting boxes a while back and we put them in there and closed it up around it. 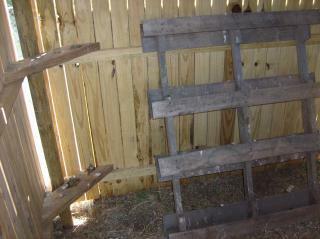 Then we put a pallet we got for free in there to use as a roost. We build a roof using the landscaping timbers, some 2 x 6's, and the sheet metal. We will finish with some chicken wire over the top to keep them from flying over. The total size of the pen is 10 ft x 36 ft. We can easily add on with 2 more kennel panels, which we may do in the spring since we are adding 8 more chickens! Good job building this from various parts! Be good to know more details about the coop itself and how the nesting boxes are put together.